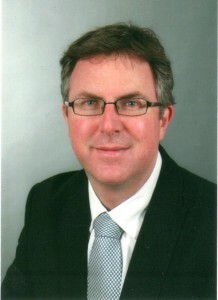 PD Dr. Seidel studied biotechnology at the University of Stuttgart. He obtained his doctorate at the Institute of Physical and Theoretical Chemistry (Prof. G. Gauglitz), University of Tuebingen in 2003. Following a period as a R & D project leader at Miltenyi Biotec GmbH, he moved 2005 to the Chair of Analytical Chemistry at Technical University of Munich as a group leader. In 2014 he received his habilitation in Analytical Chemistry and was appointed as lecturer at TUM (German “PD”). Currently, he is heading the group of Bioanalytics and Microanalytical Systems at the Chair of Analytical Chemistry and Water Chemistry at TUM. His research interests are within bioanalytical methods for environmental and food analytical chemistry. His expertise is in rapid detection methods, chemiluminescence microarrays, surface chemistry, selective concentration methods for bioanalytics, detection of pathogens, toxins, and micropollutants, molecular biological methods, and immunoassays. Kober, C.; Niessner, R.; Seidel, M. Quantification of viable and non-viable Legionella spp. by heterogeneous asymmetric recombinase polymerase amplification (haRPA) on a flow-based chemiluminescence microarray. Biosensors and Bioelectronics, 2018, 100, 49-55. Kunze, A.; Dilcher, M.; Abd El Wahed, A.; Hufert, F.; Niessner, R. and Seidel, M., On-Chip isothermal nucleic acid amplification on flow-based chemiluminescence microarray analysis platform for the detection of viruses and bacteria. Analytical Chemistry 2016, 88, 898–905. Wunderlich, A.; Torggler, C.; Elsaesser, D.; Lück, C.; Niessner, R.; Seidel, M., Rapid quantification method for Legionella pneumophila in surface water. Analytical and Bioanalytical Chemistry 2016, 408(9), 2203-2213. Wolter, A.; Niessner, R.; Seidel M., Detection of Escherichia coli O157:H7, Salmonella typhimurium, and Legionella pneumophila in water using a flow-through chemiluminescence microarray readout system. Analytical Chemistry 2008, 80, 5854-5863.